Our newsroom can now confirm that only three members of the NDP, have met the NDP Co-Leader Honourable Myron V. Walwyn’s (AL), deadline and said they are willing to run with him, as their leader in the next General Elections. They are as previously reported, Honourable Marlon A. Penn (R8) the Junior Minister for Trade and Consumer Affairs, Dr the Honourable, Hubert R. O’Neal (R9) and added is, Hon Alvera Maduro-Caines (R6). According to the NDP senior sources, three members of the NDP will not be seeking re-election. They are, outgoing Premier Dr the Honourable D. Orlando Smith (AL), who now shares responsibilities with Hon Walwyn, Honourable Mark H. Vanterpool (R4), the Minister for Communications and Works and Honourable Archibald C. Christian (AL), the Junior Minister for Tourism. Those who have flat out sidelined Mr Walwyn’s ultimatum and may go their own way are, Deputy Premier and Minister for Natural Resources and Labour, Dr the Honourable Kedrick D. Pickering (R7), Honourable Ronnie W. Skelton, (AL) the Minister for Health and Social Development—the person many in the party believe that can keep the party together—Honourable Melvin M. Turnbull (R2), and Hon Delores Christopher (R5). Meanwhile, the NDP Executive Committee is planning a meeting to confirm the three Candidates including the Co-Leader Walwyn, and other new Candidates that hope to join the party and replace those who chose not to seek re-election or not to be led by Hon Walwyn. The NDP is going into an election not united because of the new Leader’s inability to get the members especially, the founding members to rally around his leadership. 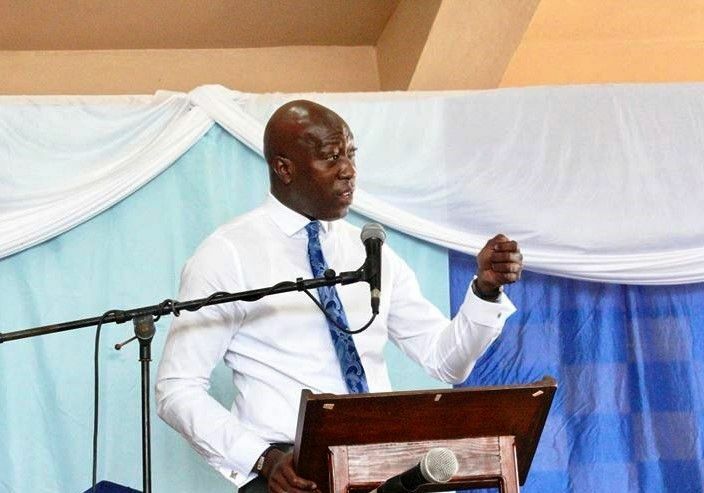 In a deliberate moved leaked to an online news site, Honourable Myron V. Walwyn (AL)—the co-Leader of the ruling National Democratic Party (NDP) and Government—threatened currently elected members of the NDP to say, if they are running with him by August 12, 2018, or else. Since his controversial election in June of 2018, to lead the NDP into the next General Elections, many party supporters and elected members have said, because of his "dictatorship tendencies," the party and most members are reluctant to have him lead them because he is "divisive." As such, some will run independently, retire, or join another group. Who will run with Hon Walwyn? They are Honourable Marlon A. Penn (R8)—the Junior Minister for Trade and Consumer Affairs—and Dr the Honourable Hubert R. O’Neal (R9). Other elected Members have ignored the deadline, not discussed it with Mr Walwyn, or have suggested to him they will retire. 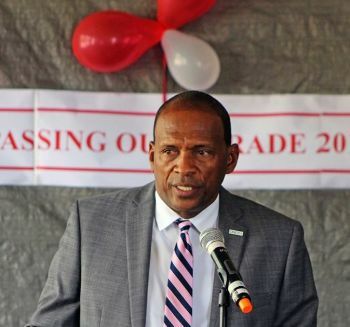 Co-Leader of Government Business and outgoing Premier, Dr the Honourable D. Orlando Smith (AL), has sent mixed signals, as to whether he will seek an At Large seat again, however, many residents and party founders would like to see him retire. Virgin Islands News Online can also report, there are some elements within the NDP who are still urging Honourable Ronnie W. Skelton (AL), the Minister for Health and Social Development—the man defeated by Hon Walwyn—to stick around and try to save the NDP. Close family members however, are encouraging him to retire. Meanwhile, it is also believed that two other members will not run again—not associated with the co-Leader and Minister for Education and Culture’s ultimatum, or him leading the party into the next general election. Senior NDP sources said, Honourable Delores Christopher, the representative for the Fifth District and Honourable Mark H. Vanterpool (R4), the Communications and Works Minister, have told Committee members and the party, they will not seek re-election. Our news desk cannot independently confirm those reports of the intentions of Hons Vanterpool and Christopher, or the alleged retirement of Honourable, Archibald C. Christian (AL), the Junior Minister for Tourism. One thing most members have been consistent with however, the election of Hon Walwyn to lead the party and the possibility of being a Premier, has divided the NDP and the country. Meanwhile, the Opposition Virgin Islands Party (VIP) is also gearing up to return to its governing body –Congress—to choose four At Large candidates to be on its slate. There is believed to be a crowded field with about 10 persons looking to win nominations for one of each of the four seats. The VIP is also to fill seats in the second, third and eight districts, after announcing six candidates last month. Honourable Andrew A. Fahie (R1) will lead the party into the next General Elections, and could be the next Premier, should the VIP upset the NDP. This guy will do anything legal or not to win. He is Lucifer on the earth. The $1.6million dollar wall Minister finds out that money can't buy everything. Now that he has destroyed Ronnie and Mitch to win the head of the Party he thinks that he can do whatever he feels. He's too dam disrespectful and power hungry. @Okay now, Destroyed? If we are going to keep things real, Ronnie and Mitch destroyed themselves. By the way, BOBO cakes, everyone is power hungry including yourself. #staythe**ll offmyron'sback. Wow! Your language is a bit too strong. Sounds like you have a whole heap to lose. By the way we are on the same side - MW. Tell them to go instruct the St. Lucian consultants hired to dig up the "so called" past of anyone who challenges him and try to destroy them, to now go dig up the past of all his ndp members who doesn't want to support him so he can get rid of them. This shows that this guy has brought disunity in the NDP just like he has done in the country. Like other elected officials Hon. Walwyn has done some good but he is too divisive and not a team player. No one with sense or principles want to run with this man. He wants people who he can run circles around with him so he can do what he wants whether right or wrong. Education minister is about power! He use strategies to make people feel like genuinely cares but he doesn’t! He is an opportunist! And those that rally behind him, I would say people take some time to investigate and you will see the favours\white envelopes that are constantly being given! They too love to cry that they love the country, but they also join in, in the robbery of the Virgin Islands! He has created a negative cultural shift! He promotes dirty and divisive tactics so that he gets what he wants! People don’t be fooled... A genuine person would not have brought so much destruction to his party! This my people should be a clear testament of his true character! Do as I say or you will be replaced and suppressed! This will lead to more intellectual decisions being made on the behalf of the Virgin Islands like the obvious kick backs obtained in the million dollar wall, the over paying of his cronies on specific government boards that lacks qualification, and yessah his lawyer expertise in paying 7.2 million to a company that never existed! Don’t mind the noise, NDP is a dead horse! Let your voices be heard, and your annoyance be felt! Vote NDP OUT!!! The fast move they pulled in the special election did not go unnoticed to most of the core NDP supporter. Dr. Smith has been getting away with a lot of nonsense with the advice from his trusted ministers shielding him. Myron & Smith set up Ronnie to travel to the UK so Myron can generate votes. He and Andrew are the same. Both robbed their way to the top and now look at them. The people will decide but I have a feeling none of them will lead this country after the next generator.. This is the most idiotic thing I have ever read. Getting the most votes only means he is a popular person. That does not mean that he has what it takes to run this country. Stop talking foolishness. We need to speak with wisdom and think ahead, this country in a very vulnerable and critical place and it needs more than popularity to be able to intelligently navigate us through these challenging times by applying discernment, prayer and wisdom. Wow! Nobody on VINO like Myron....wonder why? The truth is terribly painful. It is no surprise that the issued August 12 edict failed. The edict had no legal force to it nor was it a smart political decision. Is something wrong with this picture. The Chairperson of a party in power is giving members an ultimatum on deciding if they will retire or stand for election with the current sitting government. This issue is something that should have been ascertained privately behind close doors in caucus. The poor response may show that the elected leader may not be as strong or as influential as he may think. If the sitting government was riding the crest of the wave instead of lying in the trough, we would not be here. The charges of corruption, mismanagement, lack of transparency, accountability and responsibility; poor stewardship of resources, dismal demonstrated fiduciary responsibility handling, slow response to disaster, low morale in civil service, victimization, my way or highway attitude, done deals, looking with a jaundice eyes at some sectors of population, poor infrastructure (water, electricity, sewage, drainage, ports, telecommunications), sputtering economy..........etc are all hurdles that must be cleared. With the building. Why all the talk about signing this document? ... struppsss.. I know VIP has s structure of the same . A co-mess at its best. You are loved Hon. Walwyn. Pure envy and jealousy. You have outworked and outshined all of them. This man has destroyed alot of innocent people. I always had a gut feeling that the NDP would self destruct. Leaves one to ask several questions like "Where did they go wrong?" What elements led to their demise? etc. etc. What cause the derailment from the tracks? Questions, Questions so many questions. God is still in control. If we forget God, Satan will rule and sin will cover the land and the sea. If we forget God, Satan will rule, If we forget God our nation is doomed. The signs are everywhere. The dead fishes at Josias Bay. The hundreds of thousands of dead sea creatures washed up on a beach in Europe. People be warned, the signs are everywhere. Pray my people for discerning spirits. The Virgin Islands territory is at a cross road. These are serious times which calls for spirits of discernment. Take a good look at what is happening and be critical thinkers. Think now like never before. Remember, the enemy comes to steal, kill and destroy, but He, God comes to give us abundant life which NO man can give. Think my people, Think. Let No one promise you the Moon and you know full well they can't touch that. A promise is a comfort to a Fool. It really seems like Destruction is the motivation. Destruction of self, Destruction of others and destruction of Nation. Our motivation is destroying us. Our beautiful Virgin Islands have become weak because of dis unity. We have allowed the enemy to creep in. All is not lost. Let us regroup and pray for unity so that we may be strengthened in order to thrive. Peace and Blessings to future generations. if Archie is leaving then Ronnie is not running he just hasn't said so yet. Under NDP we will have more crabs running things than a cheap ho house. Hear this and hear it well, Myron is going to be the next premier. You people need to get over your what is eating Gilbert grape attitudes and start reconizeing. A vote for the morons is a vote for stinky crabs. Lobster anyone? Stop condoning corruption. The wall is corruption as well as many other acts under this leader you are praising. Also he's not a team player. He's about himself. Shameful you need to shut to f**k up. Some of the biggest and dangerous persons are behind that same big wall that wall built going to school. I wonder if you getting piece of the funny man pie. Put that in your pipe and smoke it. He is only power hungry. No other party member is going to want him on their party. This country is in better hands under Myron than Dr Pickering for sure if you think I lie ask Ronnie why he put himself up for leadership when Dr Pickering was in line as the Deputy all of them know Dr Pickering is bad for us Myron on the other hand was only good for the NDP when he brought that very large following of young people to cement their victory at the poles 2011 to present Ronnie won't have won without the youth movement Myron brought because Ronnie have a problem seeing his own people rise too he is a class structure man only certain people should have there is the big difference with him and Myron the young leader Myron want all to succeed all have a shot at the top Myron start out Purcell with NOTTING and have become a very successful business owner who have help many along the way Ronnie MET A TABLE prepared for him in the family business didn't had to go looking for Notting didn't go hungry a night didn't when a day without a dollar he was handed a fortress while Myron built his those are major differences and it is clear to see why the Congress choose him they believe in His ability to lead so all those who done want to run for the people they suppose to be represting and think they going to spite Myron the people will be waiting for them at the poles to spite them. @Spade, with you on this. Myron is the most qualified man to be the next Premier. He is the hardest working politician on this Island. I truly believe he is going to move this Country in the right direction. Myron you got this. For every 50 people who is against Myron, 80 more that is for him will pop up. Not true, Pardna. Do your homework before you come here creating false impressions. Ronnie came from humble beginnings and it is by the sweat of his brow that he has met with his personal success. He would make an excellent leader. Go sit down with your nonsense. For real, Myron is cool like that. Soooo, I am quite sure your community can ban together and purchase 5 sheets of plywood and two doors and fix the problem. Really? What about your district rep? What is he doing to help the situation?